It’s like MiddleEasy but for your ears. 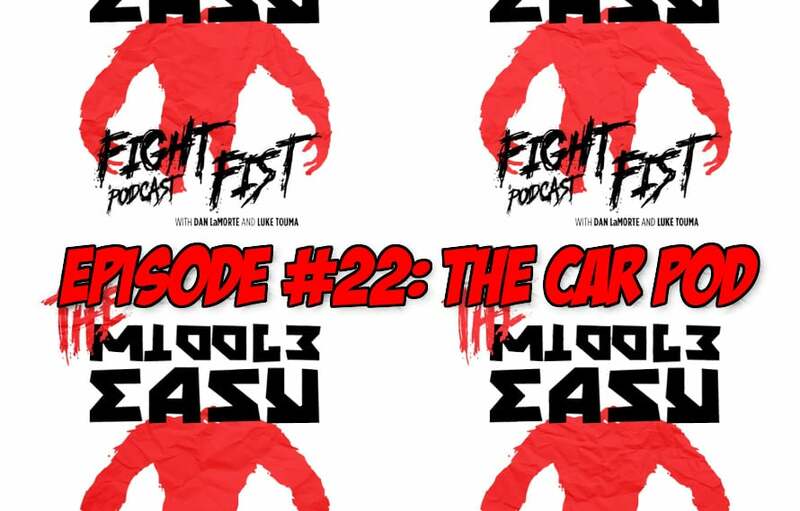 Thanks to comedians Dan LaMorte, Luke Touma and Diego Lopez episode 22 of MiddleEasy Fight Fist Podcast is here. Welcome Back Fisters! The whole Fist Crew is together for this episode. We recorded in our newest studio, my car. It was a great episode that included a cameo appearance by a famous person. We also talk about our upcoming trip to Utica to cover UFC Utica and the fact that we’re going to be at Madison Square Garden covering the first ever card for the Professional Fight League. Lots of cool stuff happening, time to hop on the Fist Train!